Arrival 14.04. from 4:00 pm, start of the program 6:30 pm. End 16.04.17, ca. 3:00 pm or 17.04.17 3:00 pm including the Homa. Spring is the best time of awakening nature – an impulse for restart, remembrance and immersion in the inner, spiritual realm. In the Christian tradition Easter is the feast of the Resurrection. We cordially invite you to celebrate this feast together with Br. Shubamrita in Amma’s wonderful center Hof Herrenberg near Frankfurt – as a time of self-reflection and spiritual practice. Through lectures, meditation and spiritual chants we want to strengthen our inner connection with the Divine, foster our inner mindfulness, gain new strength and inspiration. At the end of the retreat we will have an “Easter celebration” with Br. Shubamrita and the local priest, accompanied by Christian spiritual and Indian music – This is also meant as a statement for interreligious dialogue and peace in the world. In accordance with tradition those who would like to fast on the Saturday before Easter Sunday can do so or only have a light meal. The retreat with Br. Shubamrita will end on Sunday afternoon. If you like you can stay until Easter Monday and participate in a Vedic fire ceremony, the “Homa” with Bri. Amritapriya. This traditional ceremony is a form of deep ritual prayer. Homas and pujas are special ceremonies that help us to achieve inner concentration. Though the use of elements like fire, oil lamps and water, the burning of certain herbs, woods and camphor and by singing mantras and kirtans archaic memories get awakened. Focussing and getting from the material plane to the immaterial plane gets easier. Hereby our connection to the divine gets strengthened. Homas and Pujas traditionally have been performed to remove obstacles in life and attenuate effects of our modern lifestyle like stress, anxiety and depression. Homas and Pujas are said to have a harmonizing effect both on our personal life as well as on the environment as a whole. These Homas or Pujas can be performed for oneself or for friends and family or for world peace. If you want to actively participate we recommend you contact our astrologer Martin Schumann for advice because you can choose different elements of the Homa according to your astrological constellation. 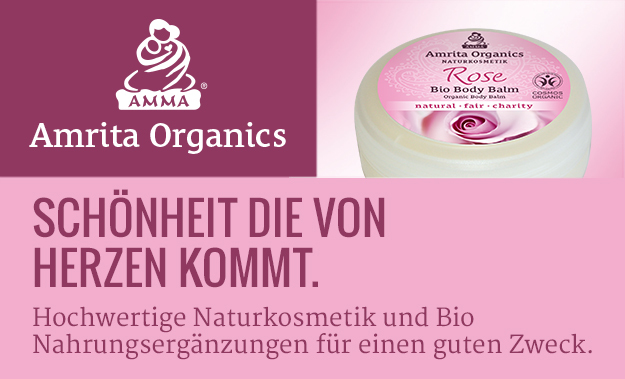 The mail address: ammaspujas.deutsch@gmail.com, Tel. +49 6063 8269940. Br. Shubamrita is a monk from India and a long time student of and translator for Mata Amritanandamayi, who is commonly referred to as Amma. He has been traveling to Europe for many years to bring her teachings and sphere of activities closer to us. His deep understanding of different traditions and cultures as well as lively anecdotes of his experiences in the surroundings of Amma make his humorous lectures relateable. Bri. Amritapriya originates in France where she worked as a German teacher. She has been living in Amritapuri since 1990. She translated many articles and books about Amma into French. Since 2014 she has been performing Pujas and Homas in Europe on behalf of Amma. With the ordination of women as priests Amma revived an old tradition of Sanatana Dharma and set a clear example for the equality between men and women. Homa: Amrita Association for World Peace e.V.